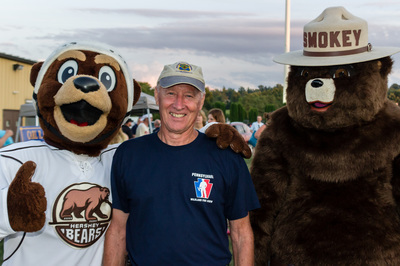 National Night Out 2018 started off like much of the Summer this year, rain and a thunderstorm. But once the storms moved by, things kicked off with a rainbow and the Palmyra Community Band. And a huge THANKS to Olivia Farabaugh https://oliviafarabaughmusic.com/ for lending us her talent and voice for the night! THANKS TO OUR 2018 NNO SPONSORS! A special thanks to the Campbelltown Volunteer Fire Company for hosting this event each year and to the Campbelltown Ladies Auxiliary for all of their hard work! *Special thanks to Barb and Bill Kaufman, and to Lawn EMS Chief Engineer and Forest Fire Warden Ken Beare. 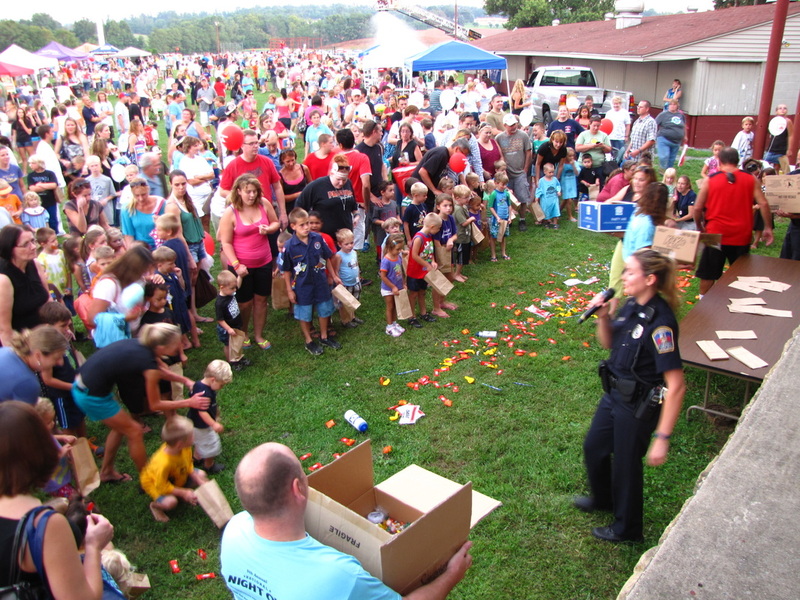 Through the years National Night Out has come to mean different things to different towns across the Country. 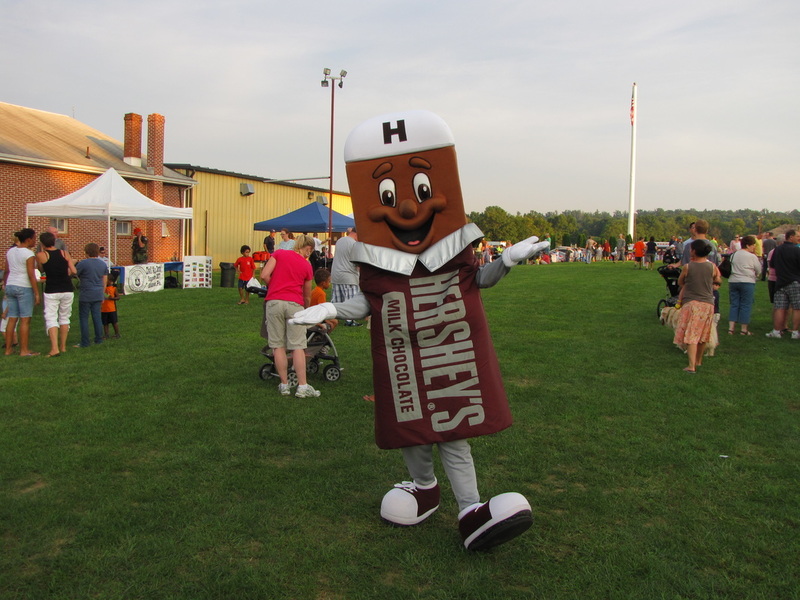 In South Londonderry Township, we have found that this is a very beneficial community event that promotes solid relationships between emergency responders and the areas that they serve. We believe that a strong working relationship between a community and their Police Department helps to reduce crime. The Police Department’s objective in coordinating this event is to promote interaction among the many people who live or work in the area. It offers the chance to meet the police officers and other emergency responders who provide public safety services. It is our hope that NNO will help to open lines of communication with the Police Department and ultimately, help us, help the community. SLTPD PTL Theresa Mack began coordinating this event in 2007. 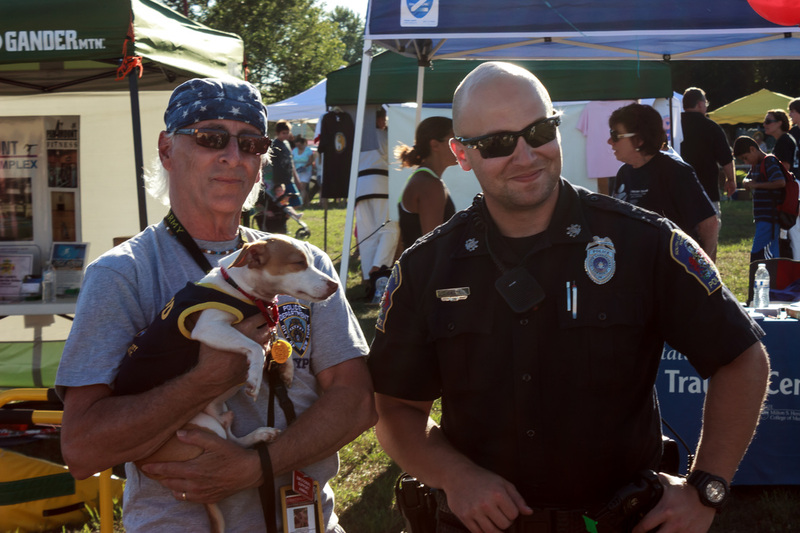 Since that time, NNO has continued to grow each year and we see more participation from Businesses, Organizations, and Community Groups. If you have never attended, it’s a great opportunity to reacquaint yourself with extended neighbors and old friends. It’s also a chance to meet some new people that may be attending for the first time. This seems especially relevant today as our area continues to grow. We are very grateful to the people, businesses and organizations that make NNO work. Without their generous donations of food, funds, and time, this event would not be possible. Many volunteers dedicate their time to setting up, serving food, manning a booth, tearing down, or helping out in some of the many ways that allow NNO to happen. If you would like to participate in the event, please contact PTL Theresa Mack by calling 838-1376, or e-mail her directly at tmack@southlondonderry.org.